Last month at Google I/O 2016 we announced the new Google Awareness APIs, enabling your apps to intelligently react to user context using snapshots and fences with minimal impact on system resources. 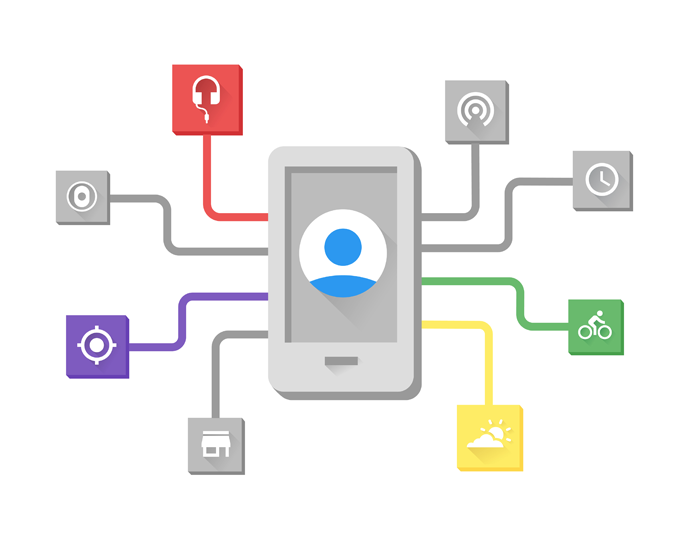 Today we’re proud to announce that the Google Awareness API is available to all developers through Google Play services. 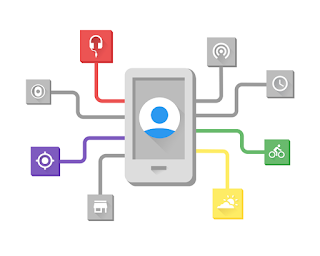 Using 7 different types of context—including location, weather, user activity, and nearby beacons—your app can better understand your users’ current situations, and use this information to provide optimized and customized experiences. The Snapshot API lets your app easily request information about the user's current context. For example, "give me the user's current location and the current weather conditions". The Fence API lets your app react to changes in user’s context - and when it matches a certain set of conditions. For example, "tell me whenever the user is walking and their headphones are plugged in". Similar to the Geofencing API, once an awareness fence is registered, it can send callbacks to your app even when it's not running. As a single, simplified surface, the Awareness APIs combine optimally processed context signals in new ways that were not previously possible, providing more accurate and insightful context cues, while also managing system resources to save battery and minimize bandwidth. Trulia, an online residential real estate site, uses our Fence API to suggest open houses. When the weather is perfect and the user is walking around near a house they are interested in, Trulia sends a notification reminding them to stop by. 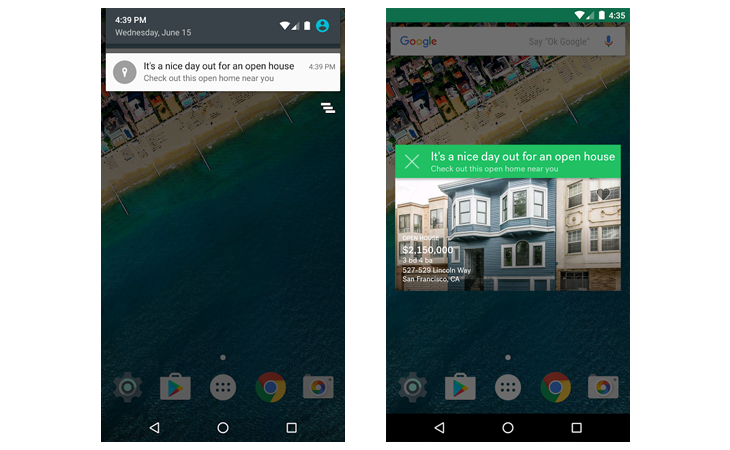 This sort of tailored notification can help users engage with open houses at the perfect time for them. SuperPlayer Music, on the other hand, uses our Snapshot API and Fence API to suggest the perfect music to match your mood. 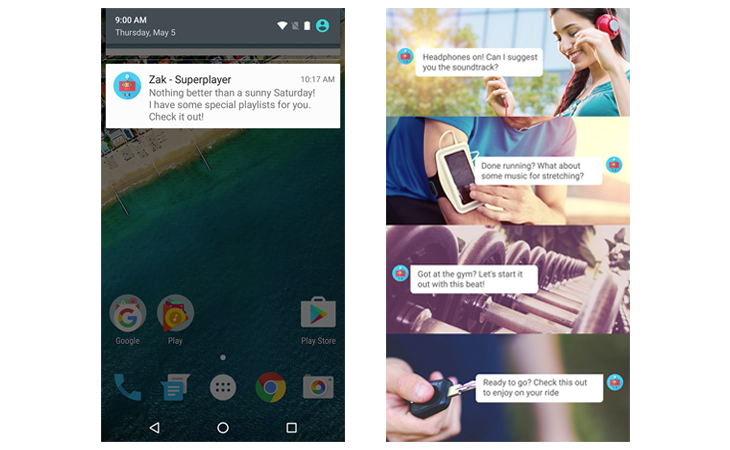 Whether you’re just finishing up a run and beginning to stretch, setting off on a long car ride, or just getting to the gym, their assistant can understand your context and suggest the right playlist for you.